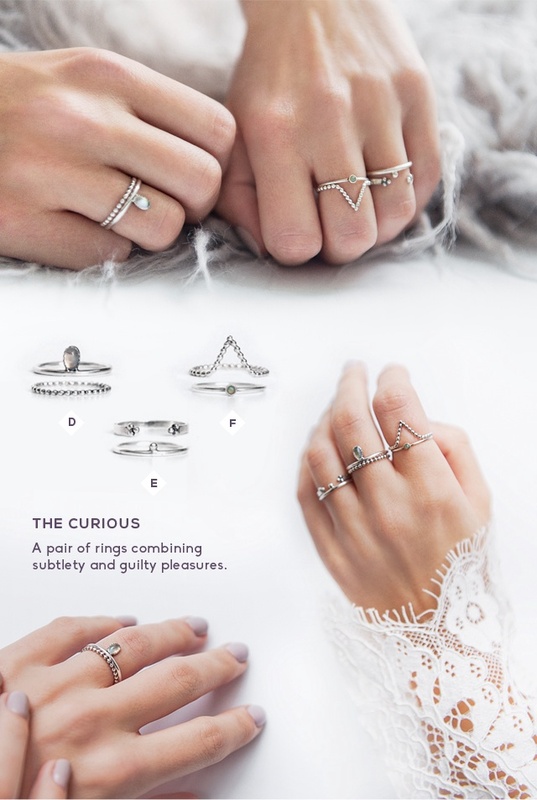 fine stackable rings to its product line! ... as you like, as you please! Bali or Paris? Early bird or night owl? Minimalistic or bohemian? With the stark abundance of choices, why be bound to only one? We’re living in a time when opposite aesthetics are not only coexistent, but simultaneously downright fashionable. 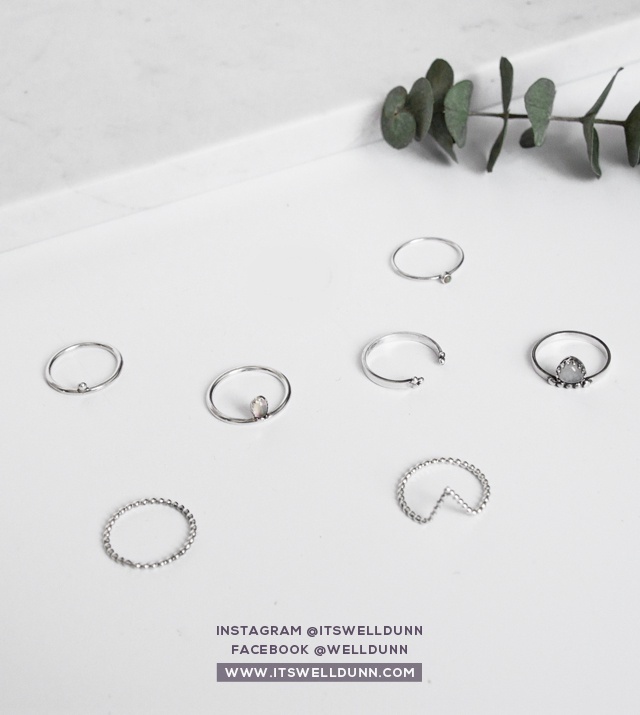 Pursuing a constant quest for renewal, wellDunn is a jewelry label that escapes constraints and flows through various styles. 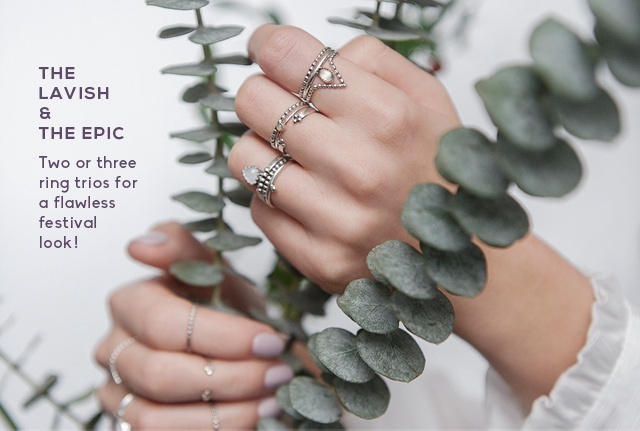 Combining minimalism with the bohemian spirit, these stacking rings ready your hands for all occasions! 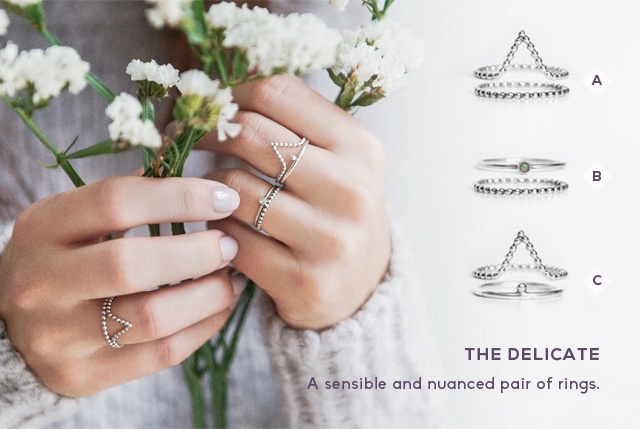 Over twenty different combinations are offered, ranging from a simple ring to multiple trios of detailed rings set with semi-precious stones. 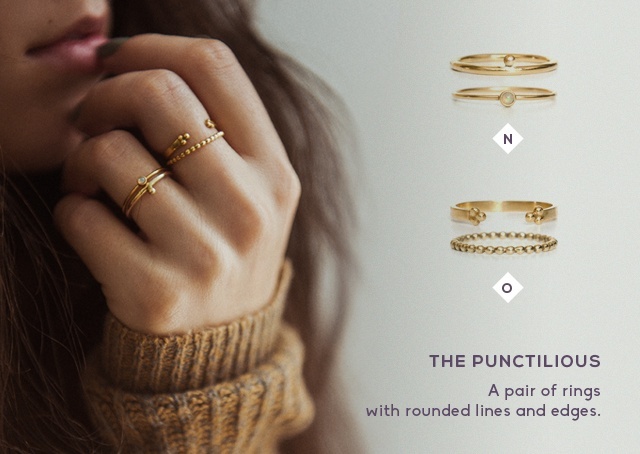 You can select the size and type of ring (knuckle or regular) for each of your rings. 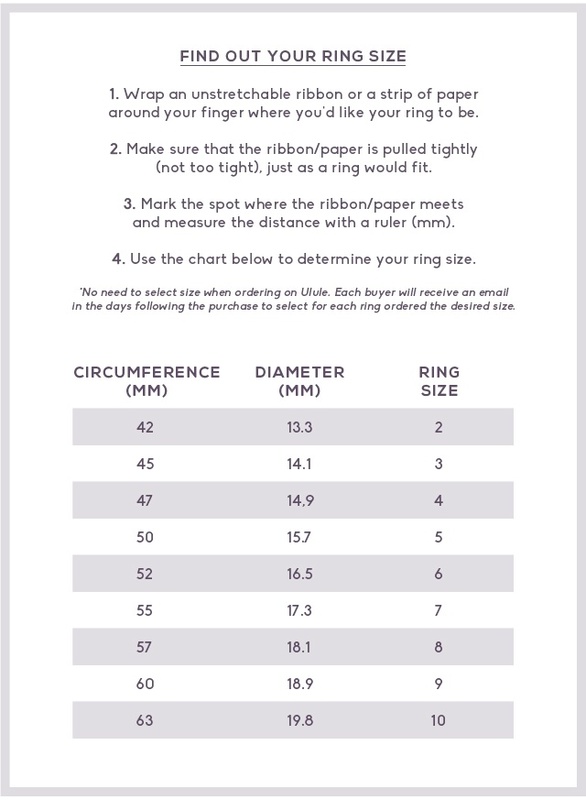 *Refer to our sizing guide below. observant of rigorous concern for quality. No need to select size when ordering on Ulule. 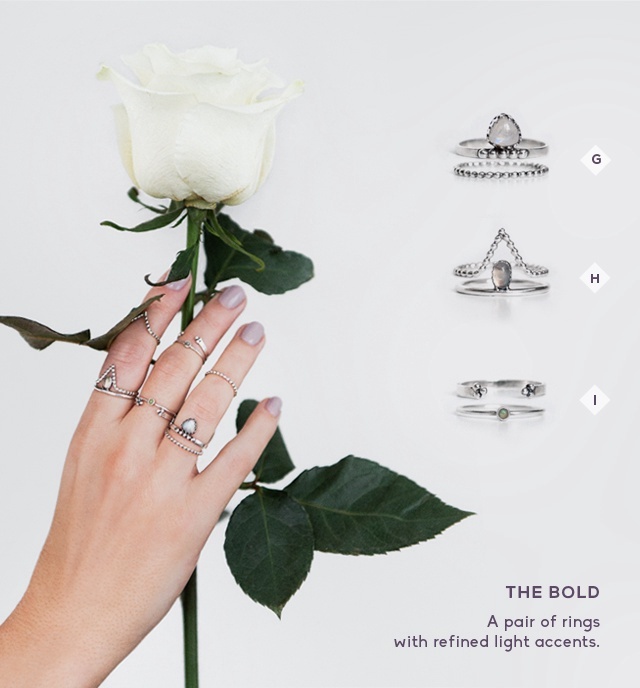 Each buyer will receive an email in the days following the purchase to select for each ring ordered the desired size and type (knuckle ring or regular). We offer worldwide shipping. 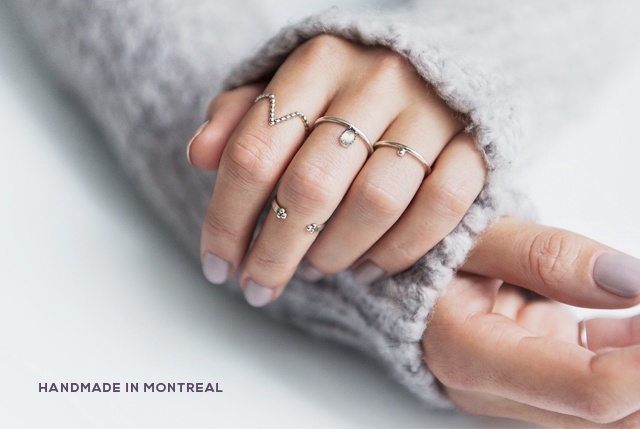 Shipping is free across Canada. We charge a flat rate of 5$ for USA shipments and 10$ for international shipments. 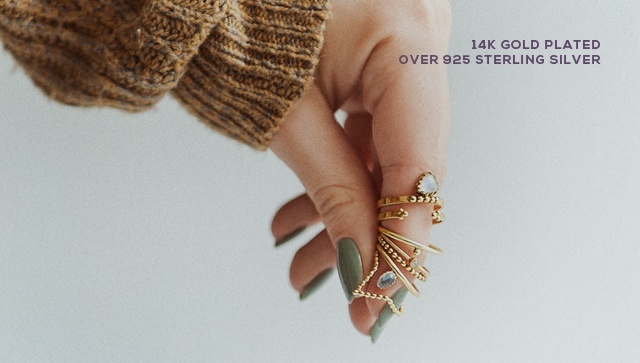 Rings will be sent via regular mail; a tracking number will not be provided. To add a tracking number and/or postal insurance to your shipment, please contact us before ordering. The target for order delivery is mid-March 2018. Note: the delivery date may vary depending on the order volume achieved. If there is an issue with size or model, exchanges can be honored within 7 days following delivery. The customer must pay for all shipping expenses on the exchange of products. 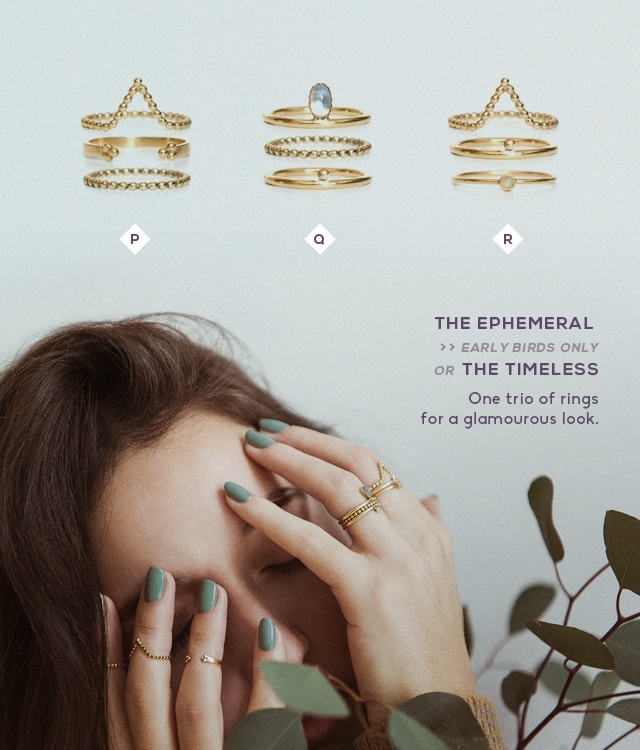 One month to launch production of wellDunn's stacking rings! 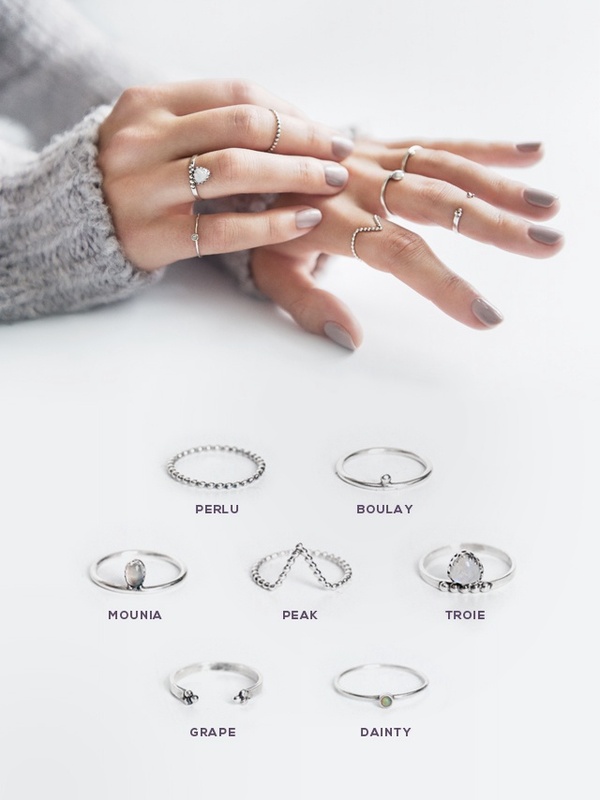 The main objective of the campaign is to produce the first stock of rings. It is always wide to validate business ideas with clients before investing time and money. 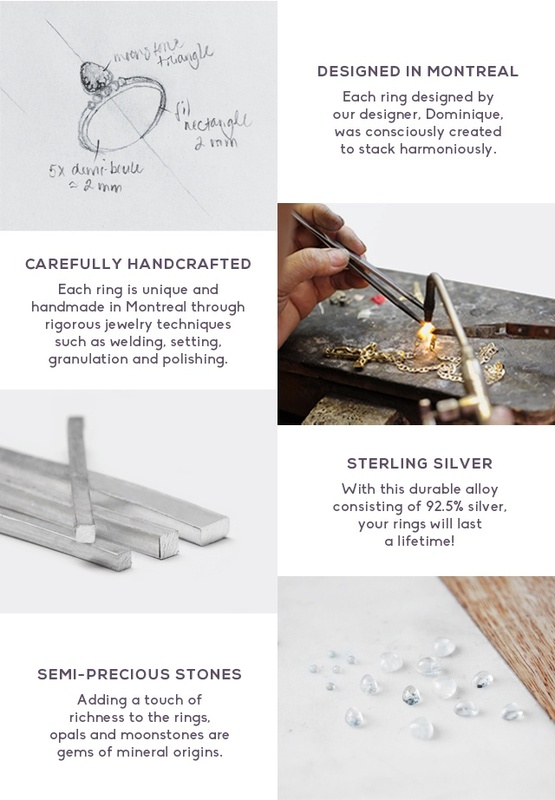 For this reason, the second objective is to confirm the demand before developing new models of rings. 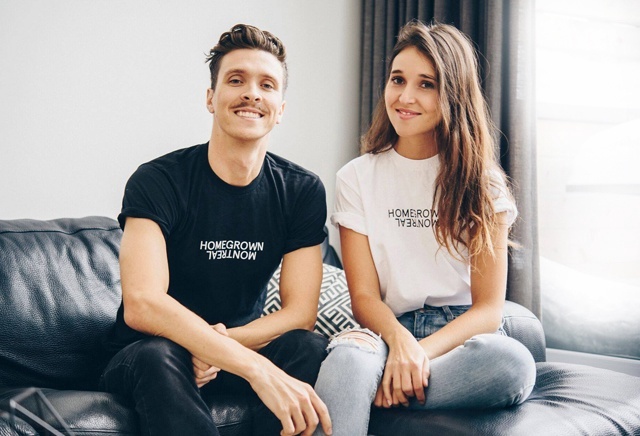 We’re Julien and Dominique, the happy couple behind wellDunn jewelry! 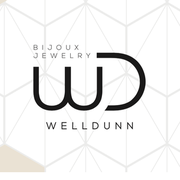 wellDunn conceives and handcrafts jewelry in Montreal since 2011. 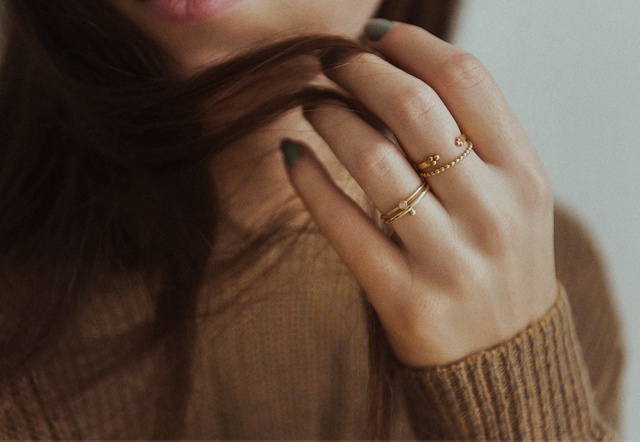 Born from a desire for adventure and a touch of naiveté, the label founded by designer Dominique Dunn offers jewelry to those who dare, just enough. 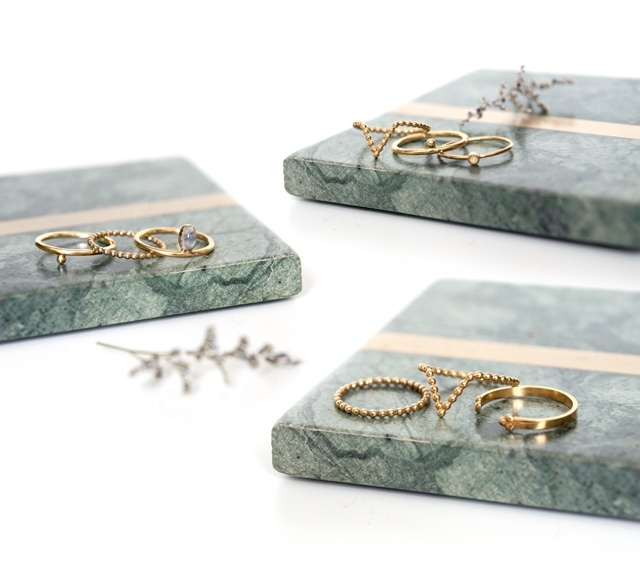 Inspired by the modern bohemian lifestyle, the jewelry is renown for their unique design and their fine craftsmanship. 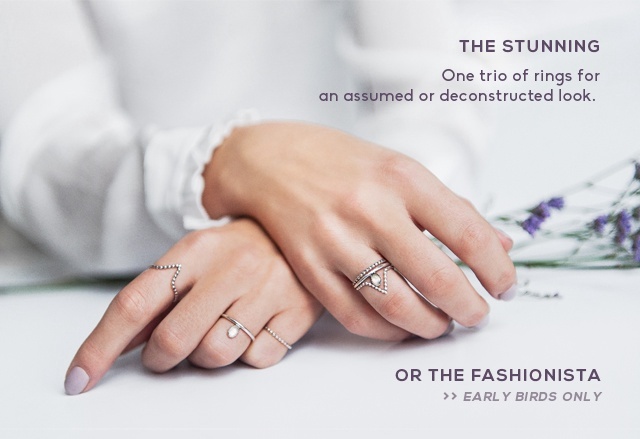 Infused with contrasting universes, each collection suits both the urban trendsetter and the modern hippie. 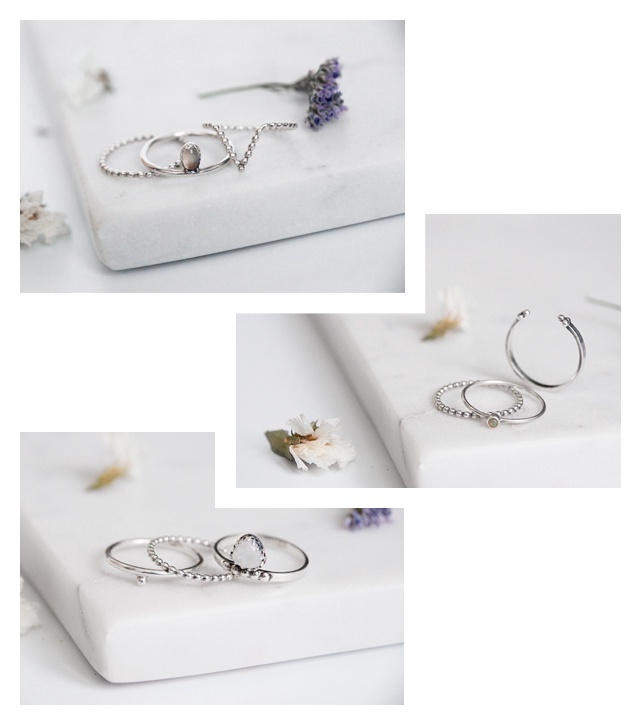 Lead by a genuine passion for beauty and aesthetics, the label seeks to make your accessories your best allies, day and night. 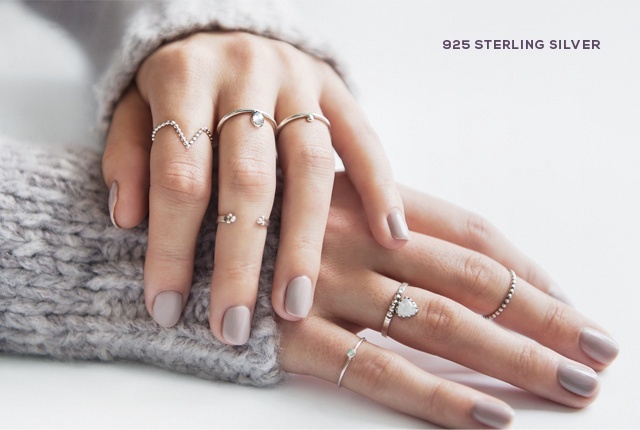 Just like a good luck charm, jewelry makes you feel pretty and confident. It makes your entire wardrobe shine, without discrimination. 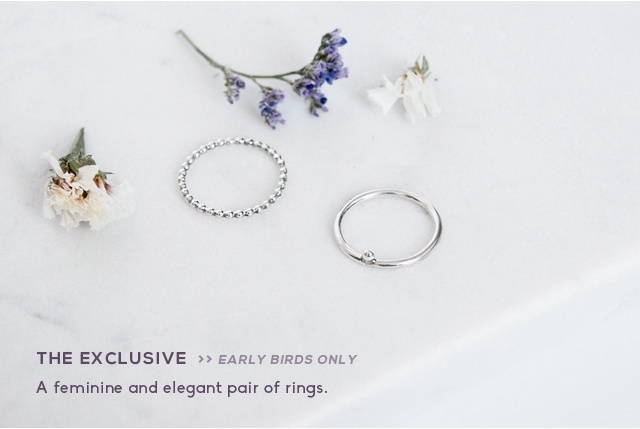 Make it a symbol of self-affirmation; an amulet for the woman you choose to be. Dream; be the girl who decided to go for it. 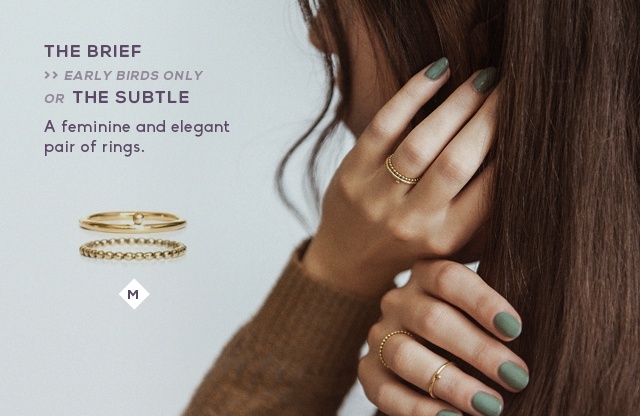 Made in 14K Gold plated sterling silver. THE EPIC ! ! !